Umar ibn al-Khattab radiAllahu anhu is today what we would call ‘a real legend’, a precious gem in the Prophet’s sal Allahu alayhi wa sallam circle. All of the Prophet’s sal Allahu alayhi wa sallam companions have led amazing lives, which strikes a chord within the normal person and Umar’s RA life is no exception – from the day he accepted Islam, to the day his blessed soul departed from this world. Umar led a full and exemplary life. Umar radiAllahu anhu came from a very affluent background, he was from the Adi clan of the Quraysh and was one of the select educated few. He was described as being fair-skinned with some redness, tall and well built, a skilled fighter and horseman. It was at the age of 27 Umar radiAllahu anhu embraced Islam. Umar’s RA embracing of Islam is very special as this was due to a special supplication the Prophet sal Allahu alayhi wa sallam made. Umar had learnt that his sister Fatimah and brother in law had become Muslim, so he headed for his sister’s house. Fatimah and her husband Sa‘id ibn Zayd were being taught the latest revelation by Khabab ibn al-Arat when Umar RA knocked on the door. Fatimah quickly concealed the scroll whilst Khabab went into hiding. Umar enquired whether it was true that his sister and brother in law had accepted Islam, when his brother replied in the affirmative, Umar attacked him, and when Fatimah came to her husband’s aid, Umar struck her in the face making her bleed. When Umar saw the confidence and vehemence with which his sister spoke, he changed and softened. He asked to see the scroll his sister had been reading. Fatimah explained that he had to wash before touching the scrolls, which Umar did. As Umar was of great intellect he realised the words on the scroll were like no other (Surah Ta Ha), and as the light penetrated his heart he headed for the house where the Prophet sal Allahu alayhi wa sallam was and from where he was to emerge a changed man forever. Umar’s acceptance of Islam was a blow to the enemies of Islam, it strengthened the Muslims and they were now able to pray openly at the Ka’bah. Umar radiAllahu anhu was well known for his sterling uprightness, unflinching demeanor and a will of steel. Umar was a dignified man, one who was not afraid to state the truth, for this reason people both feared and respected him. Umar was concerned for the welfare of the Muslim women in Madinah, particularly the wives of the Prophet sal Allahu alayhi wa sallam, and he made the Prophet sal Allahu alayhi wa sallam aware of his concern for them. Very soon revelation came to the Prophet sal Allahu alayhi wa sallam on this very subject. Once the Prophet sal Allahu alayhi wa sallam was in a meeting with the ladies of Quraysh. When the ladies heard Umar approaching they fled and hid from the presence of the Prophet sal Allahu alayhi wa sallam. The Prophet sal Allahu alayhi wa sallam smiled, at which point Umar entered, and enquired about his smile. The Prophet sal Allahu alayhi wa sallam explained how the ladies hid as soon as they heard Umar coming, to which he replied…… "O enemies of yourselves! You fear me more than you do Allah's Apostle?!" just as Umar never compromised his thoughts and beliefs, he also never compromised his duties. Before Umar became caliph, he would walk around Madinah seeing to the needs of the people. In one area there lived a blind woman who Umar went to help, only to find that her needs were attended to on a daily basis. Umar curious to know who did such a noble deed hid, only to find out that his dear friend Abu Bakr had beaten him to this good deed. When Umar became Caliph he gave the following poignant speech, openly admitting his weaknesses. …O Allah I am hard, make me soft to promote the Truth, to comply with your injunctions and to aspire to a better life in the world hereafter. O Allah make me hard for the enemies of Islam and for those who create mischief so that their designs against Allah come to naught. O Allah I am miser; make me generous in the promotion of the good. O Allah save me from hypocrisy. Strengthen my resolves so that whatever I do, I do for the sake of winning Your approbation. O Allah soften my heart for the faithful so that I attend to their needs with a sense of dedication. O Allah, I am careless, make me responsible enough so that I do not lose sight of You. 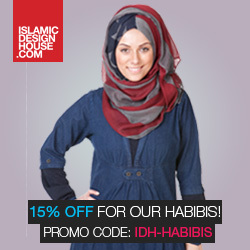 O Allah I am weak in offering my obedience to You; make me active and fortify my faith. O Allah bestow on me faith, and the power to do good. O Allah give me the power of self-criticism and self-assessment. O Allah bestow on me the insight into the meaning of the Quran and the strength to act in accordance with what the Quran says. When Umar became Caliph it is no surprise his responsibilities increased and he became just as constant in his duties as before his caliphate, he would roam the streets at night to ensure all was well in his province. Once Umar went out with Aslam (his servant), when he came across a tent where a fire was burning and children were sitting around crying. Umar enquired why the children were crying and the lady replied that they were crying through hunger, and that she was boiling water in the pretence she was cooking food, hoping that the children would soon fall asleep through exhaustion. Umar wept and went straight to the state granary and put together all the necessities, he then asked Aslam to help load the items on to his back. Aslam objected to the Amir carrying the provisions to which Umar replied “Will you carry my burden for me on the Day of Resurrection?” [xiii] Umar took the provisions straight to the traveller’s tent and placed some ingredients in the boiling pot. Once the food was cooked he fed the children and put them to sleep. He gave the remaining provisions to the lady and took her leave. Umar had softened towards his people when he became Caliph, but was still tough and stringent with his own family if not more so. Umar RA strictly adhered to the example his people had to follow, he always thought of others before himself and took extra special care of the Prophet’s sal Allahu alayhi wa sallam family before his own. Today we live in a modern civilisation which was actually pioneered by Umar 1400 years ago. He was the first person to set up an Islamic democratic system. Umar allowed the people to voice their opinion freely and to criticise the ruler (or Government) openly. From Umar speech we can see he was the first to introduce allowances for the poor, the needy and the disabled (which included the elderly and widows), and he also introduced policing of the state. Umar also had the first Islamic calendar made where the start date was the date of the Prophet’s sal Allahu alayhi wa sallam ‘Hijrah’. He was the pioneer of much, much, more, one of the most important being the compilation of the Holy Qu’ran which actually took place during the Caliphate of Abu Bakr ..
Umar ibn al-Khattab is a shining example to us all, as well as the Muslim and non-Muslim leaders of today. The Prophet sal Allahu alayhi wa sallam gave Umar the title of ‘Al-Faruq’ (the one who makes clear distinction between the ‘right’ and the ‘wrong’), and he sal Allahu alayhi wa sallam said of Umar ..
Umar a character perfected on the first-hand experience of being with the Prophet sal Allahu alayhi wa sallam, and corrected on the teachings of the Prophet sal Allahu alayhi wa sallam. He was the sunnah personified after the Prophet sal Allahu alayhi wa sallam. What do you learn from these few facts that we have mentioned about Umar radi Allahu anhu? Very well written article masha'Allah.. :)I have a doubt in one of the points mentioned:"Umar was true to his word and had his own son flogged twice for a mistake he made, which resulted in his son’s death.".. I would like to know which son this was and the source/reference if possible, with a detailed description of this particular incident. Was waiting for this one:) jzk for such an enlightening article! Salaam sister Nasmira I will get you the references for the piece you have mentioned, I think it will be in the references above . Jazakumullahu Khayr....Umar Conquerer of the world or sword? thank you for allowing us to increase our knowledge about umar ra by writing this article so nicely and in great details. hopefully u will write more of this kind of articles inshallah. Hi there every one, here every person is sharing these kinds of familiarity, thus it's pleasant to read this web site, and I used to pay a quick visit this website all the time. iphone and tested to see if it can survive a thirty foot drop, just so she can be a youtube sensation. actually enjoyed account your weblog posts. Any way I'll be subscribing for your augment and even I fulfillment you get entry to constantly rapidly. Any way I'll be subscribing on your feeds and even I achievement you access constantly quickly. Also see my web page: how to know if a guy like you? I leave a response whenever I appreciate a article on a site or if I have something to contribute to the discussion. 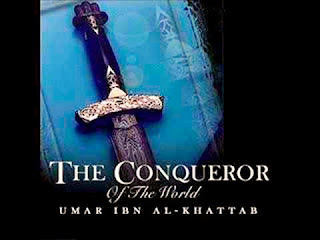 And on this post "Umar - The Conquerer of The Sword". I wouldn't mind writing a post or elaborating on most of the subjects you write with regards to here. Again, awesome web site! websites on the web. I will highly recommend this web site! everyone. "The penalty of success is to be bored by the attentions of people who formerly snubbed you."